This print ad was designed for color and black & white ad space. 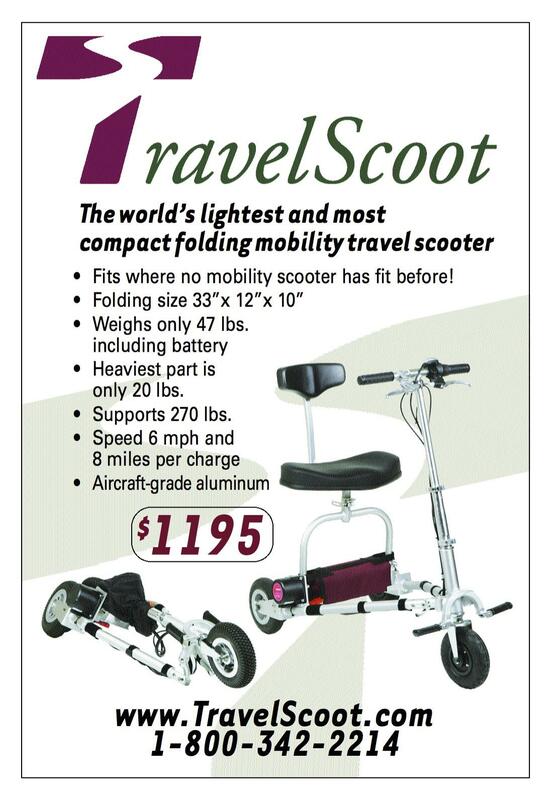 The market for this compact, folding scooter were people with limited mobility – those who have walking difficulties but are otherwise still fairly mobile. The ad was placed in publications written for those with disabilities, owners of private planes, trailers, motorhomes, RVs, and seniors.